I acquired this Fullerton “A” style mandolin a few years ago when one of the big retailers was closing out the brand. It’s a nice instrument overall, well constructed and for the price was a great way to learn some mandolin. What I’ve found lacking was the fret-work. 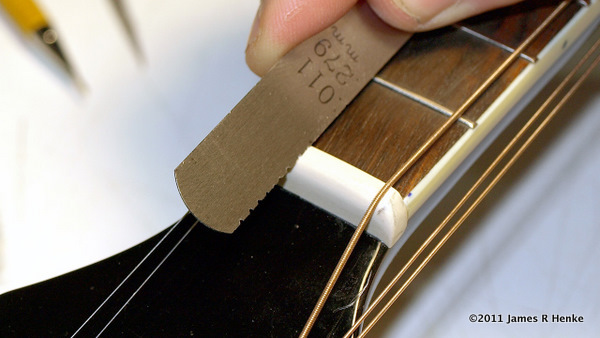 So here we go, getting down to brass-tacks and doing a pretty thorough fret dress. Just for fun, today I’m cooking up a spicy “mod” to ever popular and economical Ramen noodles! Simple play this video and match your Bass pitch, string-by-string and you’ll be tuned up in just a few minutes. The videos can be played full screen, so you can follow along from across the room. Turn it up and get it tune! Four string Bass in standard tuning from low to high E, A, D, G.
Simple play this video and match your mandolins pitch, string-by-string and you’ll be tuned up in just a few minutes. The videos can be played full screen, so you can follow along from across the room. Turn it up and get it tune! Mandolin 4 sets of dual strings tuned in unison. The strings are tuned from the 4th (thickest) string to the 1st G, D, A, E.
Play the video and match your guitar pitch, string-by-string and you’ll be tuned up in just a few minutes. The videos can be played full screen, so you can follow along from across the room. Turn it up and get it tune! Standard Six String Guitar Tuning & 1/2 step down “Eb” Tuning!